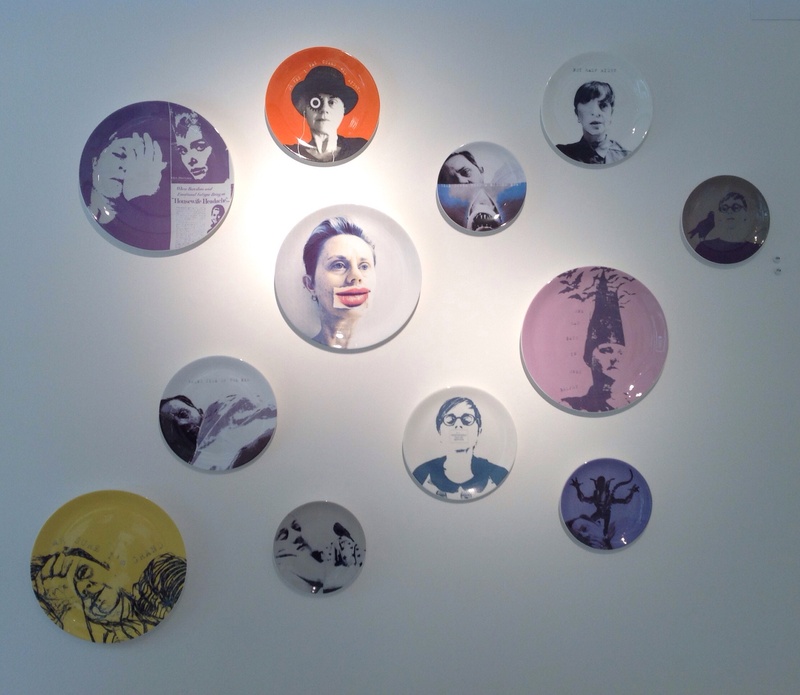 After a year of trial, error and some epic fail, fail better scenarios, not to mention a prolonged bats in the belfry intermission, I finally got some Sick Selfies images onto bone china plates for Ceramic Ireland's Exhibition which opened in Dublin last week. Couldn't have done it without the support of my unpaid P.A. Joe and the lovely Tina from Ceramic Ireland who shared her knowledge of digital printing for ceramics and encouraged me every step of the way........and of course Jessie, Robbie and friends who attended the opening in my place, talked the talked and drank more than my share of the wine as instructed. Yes, indeed I was too sick to go to the Sick Selfie bone china plates launch.... same old, same old, but happy all at the same time. Centered is on at the Farmleigh House Gallery, Phoenix Park, Dublin until October 7th.